At times, Council uses electronic tendering services TenderLink or Tenders Online.. These online tendering systems streamlines the tendering process, and are in alignment with our governance requirements and processes. Tenders are advertised in the relevant appropriate newspapers: either the Port Stephens Examiner / Newcastle Herald / Sydney Morning Herald (Tuesday). 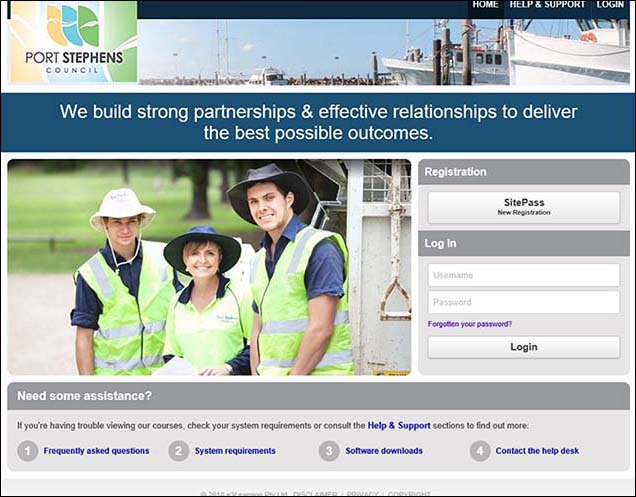 This web-based secure system enables contractors to register their business, insurance and Work Health & Safety (WHS) information. Registering your information will ensure you are compliant with relevant legislation and ensure all your insurance and WHS documentation are current and valid.